Twenty years ago, I experienced the birth of independent Slovenia with enthusiasm, excitement and pleasure. We acquired our own country, and thereby an opportunity, right and duty to try to prove ourselves in the long-sought democracy, the rule of law and common human values. I love Slovenia, because it is my homeland. 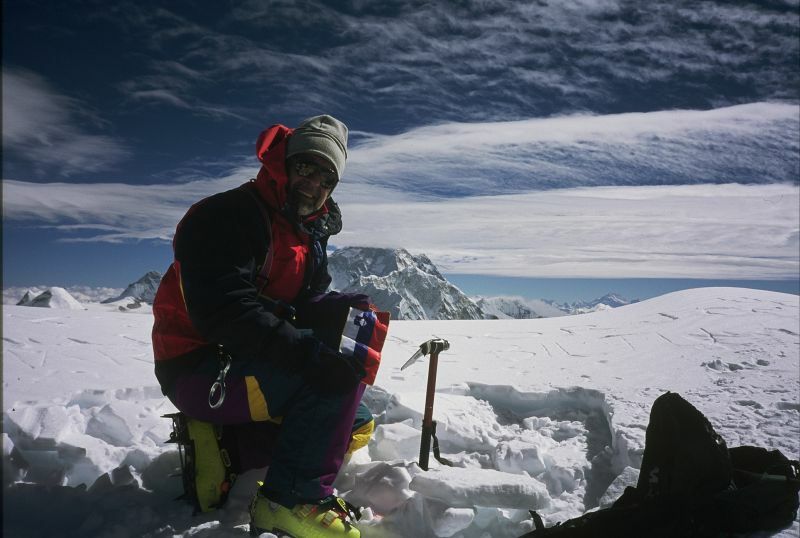 I have participated in numerous expeditions on foreign peaks, so I have had several opportunities to proudly unveil the flag on the summit of a magnificent mountain. Today, I continue to present Slovenia in the world to the best of my abilities, even though I have often been a bit embarrassed recently. If the government institutions which assumed power in the years following independence could seek excuses for flaws and irregularities in the difficulties of every young country, the twentieth anniversary is high time to sober up and start working and behaving differently. We tell pupils that honest work is greatly valued in all social systems. Payment for honest work - which should provide for a decent living - and the responsible working of state institutions are basic rights granted by law which should be protected by the state. However, in recent years, it has been clearly demonstrated that this is not the case. The proof is provided by numerous cases of Slovenian and foreign workers who have been meanly deceived by their employers, while institutions pretend not to notice and protect greedy conceited parvenus who have no conscience. I still trust and believe in the energy and will of good, honest, hard-working and creative fellow citizens, just business representatives, politicians, scientists, athletes, artists…Slovenes who, together, can create the conditions for a decent living and the common good of everyone who lives in the most beautiful country in the world: Slovenia.